Someone asked me the other day what I “believed in” as far as my diet. I was a bit confused. Oh. So they were looking for my food belief system. Hmm. I think I might be food agnostic. You see, when I’m preparing for a show there is one rule. I follow the rules my trainer provided and that is it. It’s a very black and white, very clear food belief system. You are getting it right – or you are getting it very wrong. There is no wriggle room. There may well be picketing and hateful signs if you ate an icecream. It’s an extremist food belief. But I’m not doing that now. So I’m finding myself quite regularly questioning what I should ‘follow’ as far as my diet is concerned. Do I drink the paleo koolaid and live like a caveman? Do I join the macro-flock and eat a McDonalds cheeseburger because the maths says I can? It’s not helping with my feelings of being a little lost. In fact it’s 9.23am and I haven’t had breakfast yet because I haven’t decided what I believe in today. 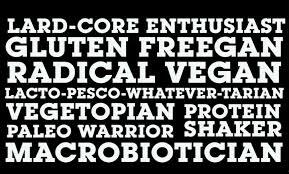 So what do you believe in with your nutrition? Post Comp Blues? Or just ate all the biscuits? For the last few months, my entire life has revolved around being ready to compete in September. Everything needed to work around me getting to the gym, eating when I was supposed to, eating WHAT I was supposed to as well as the emotional/mental time I spent worrying about whether I could be ready in time and being mentally ready to stand up on stage in a bikini that is too small to even really be referred to as ‘micro’. I own larger watches than this suit. There is a lot of information on the internet about ‘post-comp blues’. It’s a bit of a thing. And I understand it. Essentially, no matter how many times your coach (if they are a good one!) tells you what will come in the days and weeks after you get off stage – it’s a rude shock. And you might find it hard to deal. Honestly, I have experienced all of the above. My weight is up, I have some weird water retention going on and at times I think I am SO HUNGRY I COULD DIE. So I ate all the biscuits. A few times over. I don’t feel down or worried about it though. For me, I think a lot of the calmness comes from having weighed A LOT more than I do now. I was also well prepared about what would happen and had this escape plan cemented in my head. It isn’t a matter of ‘snapping out of it’ and not even a case of going back to the way I lived preparing for show. That was never intended to be a long term diet and training path. 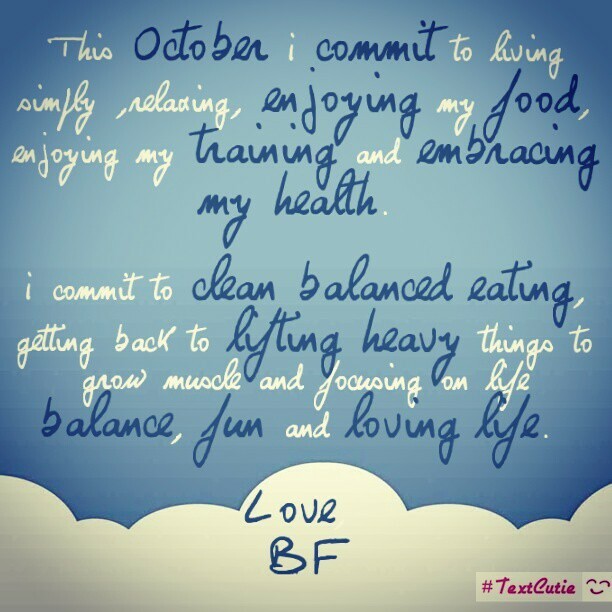 My personal challenge for October was to give myself this month to re-establish the balance in my life. I’ll train the way I like to train and eat the way I like to eat (which is a clean but family-friendly non restrictive diet). And most importantly, to spend some time relaxing and being with my family, because that’s what I treasure most. I’m not disputing that ‘post-comp blues’ is a real thing. I know and love some GORGEOUS girls that are right now going through a tough time re-engaging in a normal life after the tunnel-vision that is preparing to compete. So be kind to yourself. Find what makes you happy and do more of it. So it’s been a LONG time since I posted. I get it. You feel neglected, and hurt and … wait, did you even notice I was missing??? But I have emerged on the other side – victorious!! 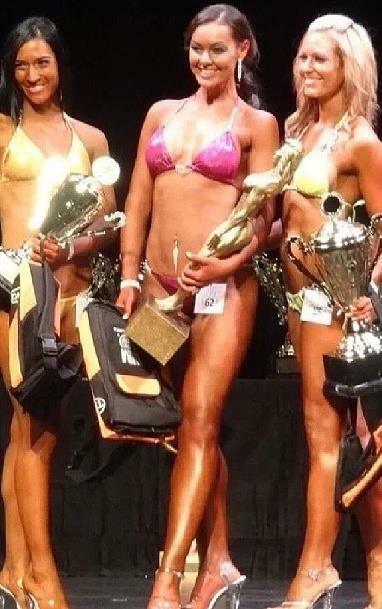 From my first ever competition, exactly two years after my first ever ‘before’ photo at 112kg – I came away with a 2nd in bikini division (over 30 years) and WON the bikini mumma division (a category for bikini competitors who have had children).